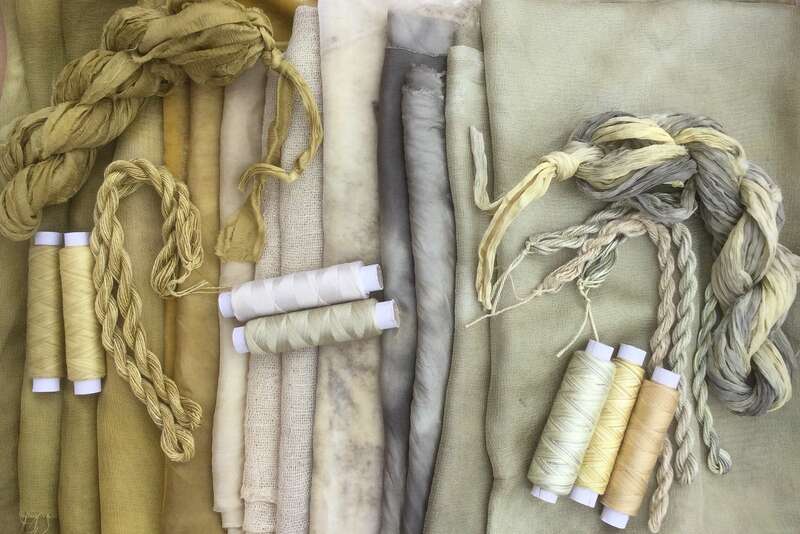 These packs are the results of experimental ‘Eco Dyeing’ on my part. 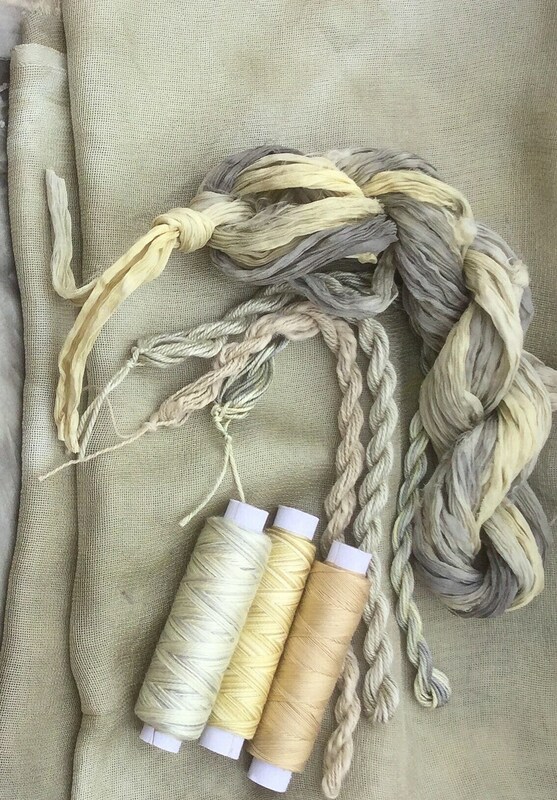 The threads were dyed with Buddleia, Rhubarb and Leaf Litter. 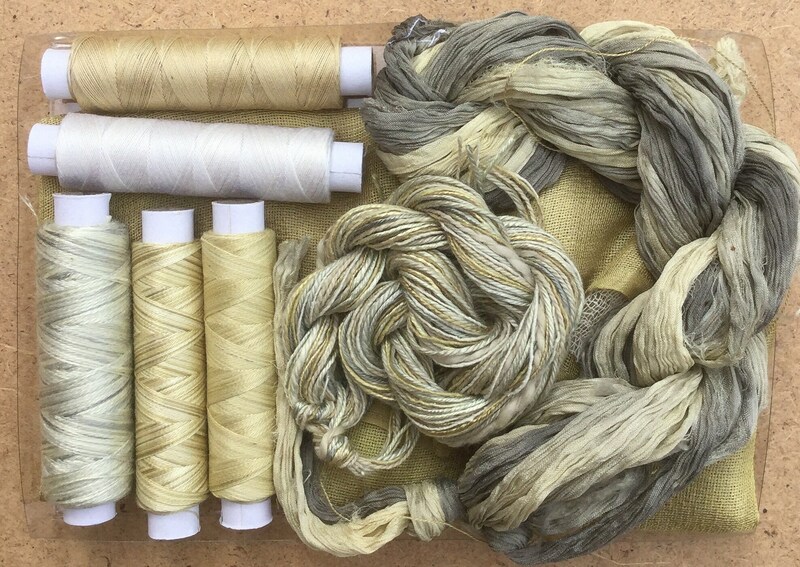 The thread selection will be mostly Silk with some Cotton and be totally random, but generally there will be 5 x 100m (108 yards) spools of machine thread, 3 x 5m (5.5 yards) skeins of hand thread, 5 metres (5.5 yards) of Sari Silk Chiffon and some small sample pieces of Silk Habutai, Silk Muslin and Cotton Scrim. The selection will be presented in a polypropylent box. The photographs are representational of a large thread selection from which we will choose your Pot Luck Pack.